I had so much fun creating Olympus Gods, that I decided to make an Add-On to this wonderful kit. 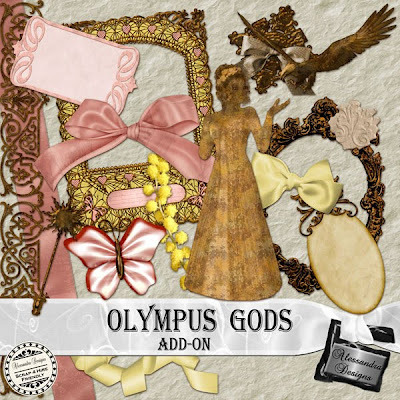 Olympus Gods is a gorgeous and elegant kit, created to bring life to the Greek mythology!!! One of the most celebrate legends of a beautiful country. Olympus Gods has unique elements and exclusive design. 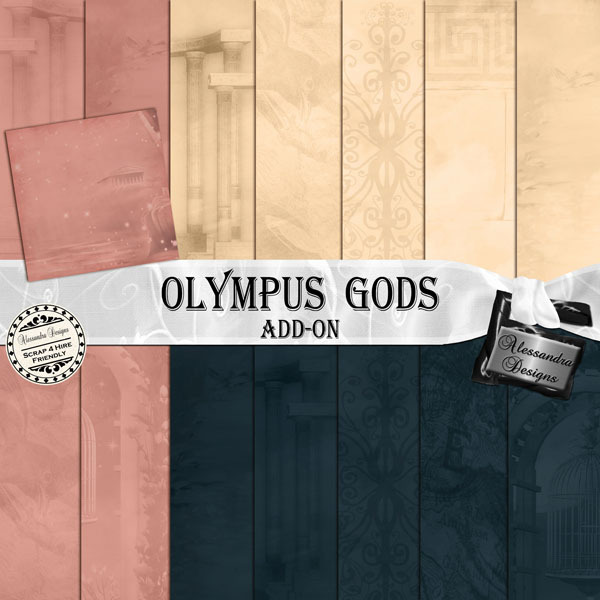 The style is classical and sophisticated. 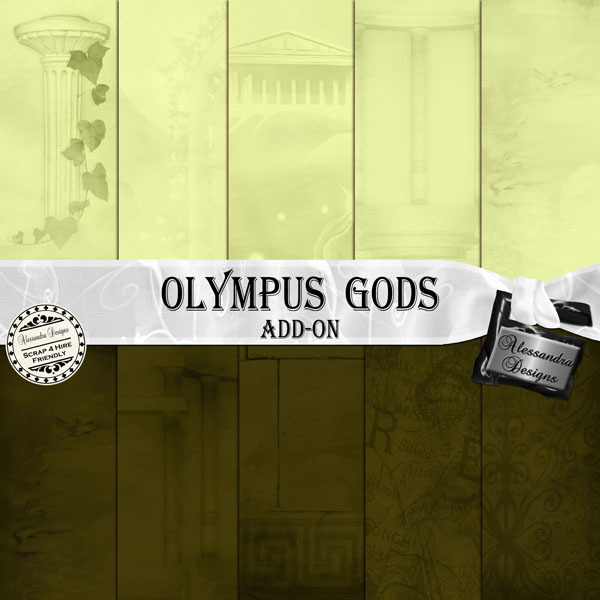 Olympus Gods comes complete, including a beautiful alpha (Upper and Lower case). Total 25 papers and 15 elements.